Work shirts with high collars have a way of looking stiff and formal, but work shirts with no collars might can a little too casual. For that perfect in-between look, check out this Wrangler Riggs Men's Black 3W750 BK Long Sleeve Henley Shirt. You'll love the just- ... (see full details) (see specifications) #WRG3W750BK. Work shirts with high collars have a way of looking stiff and formal, but work shirts with no collars might can a little too casual. For that perfect in-between look, check out this Wrangler Riggs Men's Black 3W750 BK Long Sleeve Henley Shirt. You'll love the just-right style, and you'll reach for it again and again for the way it feels. This black henley shirt is made with 7-ounce, 100% ringspun cotton jersey. Soft cotton feels like a dream, pillowy and airy beneath the fingers. This cotton is crafted in knit jersey construction that stands up to wear and tear. It's also been ring-spun, a process that actually makes the individual cotton threads softer and stronger. For even more durability, this long-sleeve pullover is crafted with triple-needle stitching. That means three threads were used, not one, for triple durability, making for an excellent work shirt. A taped neck seam and vented, taped side seams add comfort and durability to the design. Thanks to the tagless label, this men's top feels smooth at the neck. The relaxed-fit design delivers comfortable wearability. The two-button placket creates a casual but stylish professional look. A left chest pocket and a hidden utility loop adds convenience. For a perfect look alone or layered, reach for this Wrangler Riggs 3W750 Black BK Long Sleeve Henley Men's Work Shirt. Buy yours right here at Working Person's Store. Stock up today! I use these as part of a required uniform, since my arms often feel cold, with or without a long sleeve shirt, or sweatshirt, on. I add these Wrangler shirts to it and they do a great job of keeping me warm. I started using these several years ago, and they last quite a long time and endure frequent washings quite well. The color dye doesn't easily fade either. I like that they have a pocket, a pen slot and that the front of the shirt has buttons that can be buttoned or unbuttoned as needed. They are just as good as Carhartt and cheaper too! Started replacing my Carhartt shirts after I noticed the weight and "toughness" started to decline over the past 20 years or so. Tried at different brands 1 at a time and wasn't happy. Riggs was the best choice so far. Not bullet proof like the old Carhartts but a great replacement. They do seem to shrink after awhile though. My arms seem to get cold, even wearing a long sleeve shirt or a sweatshirt, when the temperature drops. I needed something as an extra layer, that didn't have a T-shirt collar and it had to have a pocket. I thought I'd give these a try, and they were just the ticket for me. I've been wearing them, under a sweatshirt, most every day during the cooler seasons for a few years now, and they've never let me down. They are the same quality as Carhartt, just less expensive - Win! They seem to last a long time too. Hearty recommendation on these. We were so thrilled to find these shirts at such a great price! 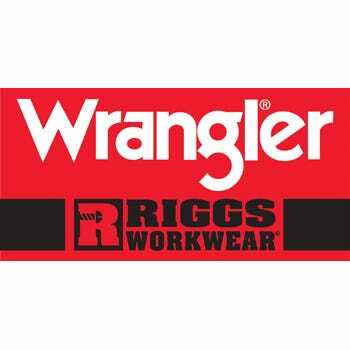 We have other Wrangler Riggs shirts that lasted more than 10 years, and expect these to last a good long time as well. It is a good weight, yet soft and comfortable, and true to size. Others had mentioned they were tight on the forearms, but we didn't find that to be the case. It washed well with no fading or shrinkage. Another great shirt from Wrangler. Mostly known for jeans, never forget their shirts. I wear mine for work all the time. Doesn't fade or shrink. Not to keen on the pocket, but probably useful for some people. It's a good shirt for the summer, maybe a little too think for some people in the winter. I've got several of these now and can't really tell the difference between the old and new ones. Wrangler Riggs Shirts: Men's Black 3W750 BK Long Sleeve Henley Shirt is being added to your cart.